Looks lovely, I adore Mexican style food with lots of beans and chilli! 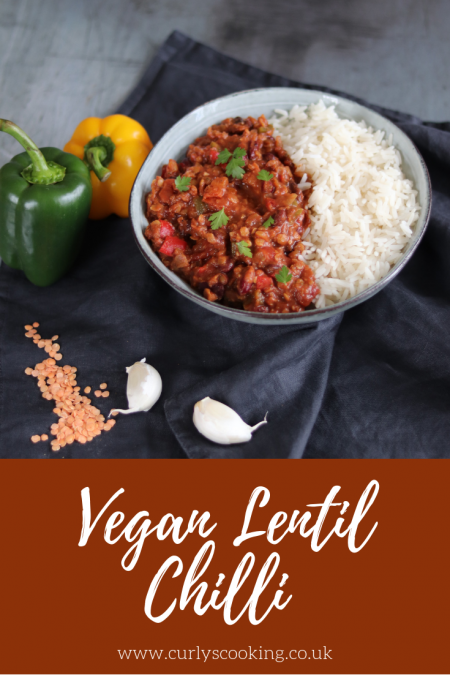 What a lovely looking dinner and I am a huge fan of lentils, so I am sure I would love it! I’m very new to lentils and am loving them! I will definitely be making more recipes with them. Whoa, this is like deja vu! I have exactly the same challenges with the hubster, who I like to call an obligate carnivore. So far, we are to ONE vegetarian meal and ONE pescatarian meal per week. I applaud you on TWO!! And I’m so glad to read your honest assessment of Quorn: I’ve been about to buy it, but I know now that it’s going to flop with my lot! But LENTILS are a meat replacement I can totally get behind. I’ve pulled this trick on the hubster, and he admitted that he didn’t really miss the meat. 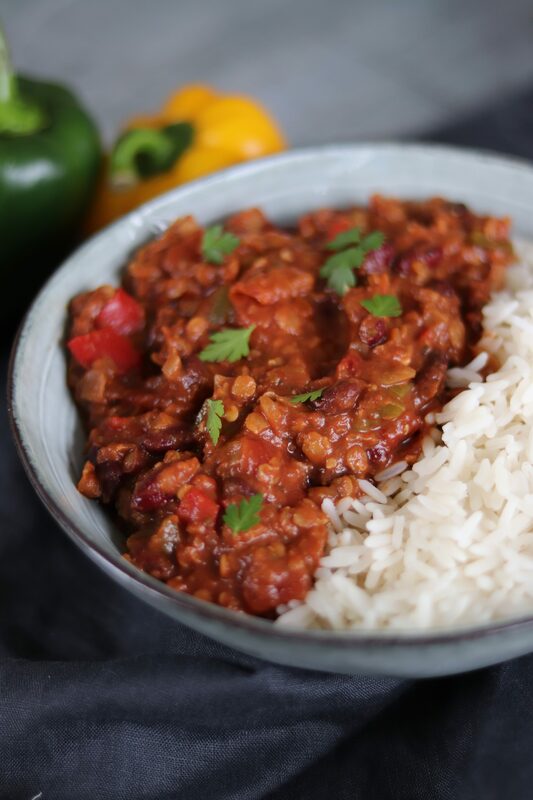 I definitely have to give your Vegan Lentil Chilli a try. Looks gorgeous, too! This sounds lovely. 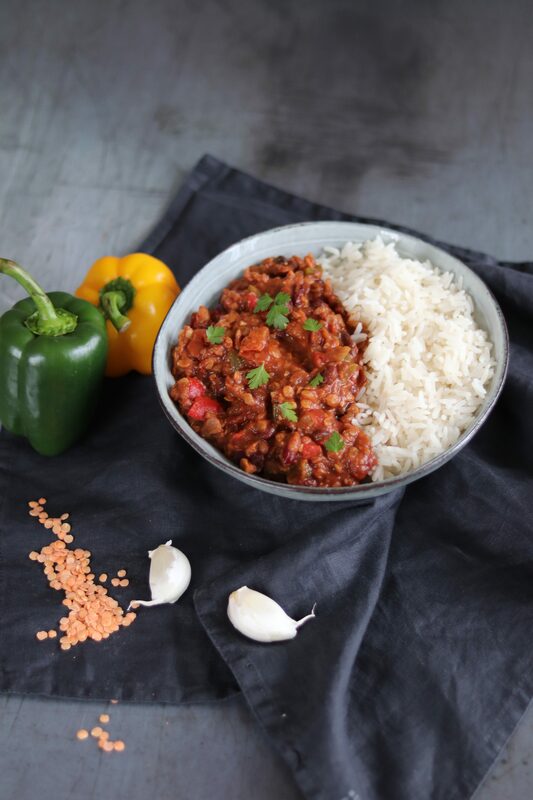 I make chilli a lot but I don’t usually add lentils to it. Will have to give this a try. They helped thicken the chilli and also helped give a meaty texture. 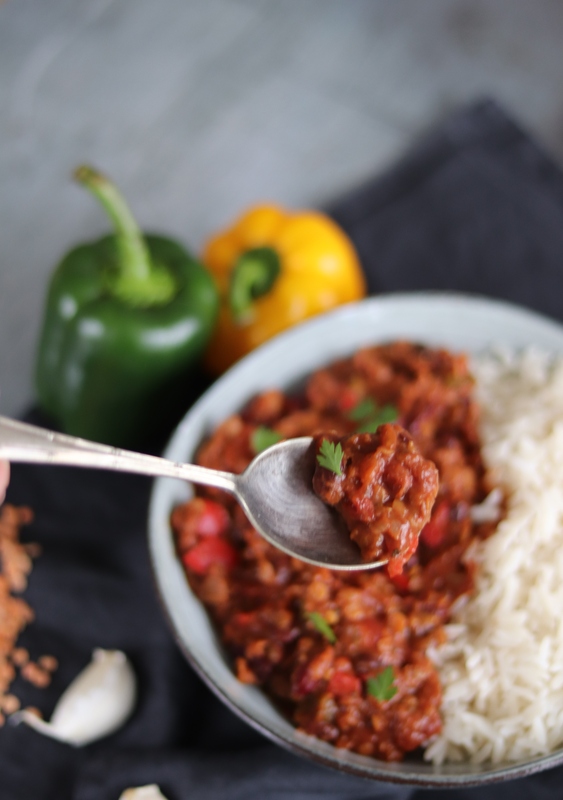 This chilli looks so warming and delicious – perfect for cold weather days! I too hate quorn. 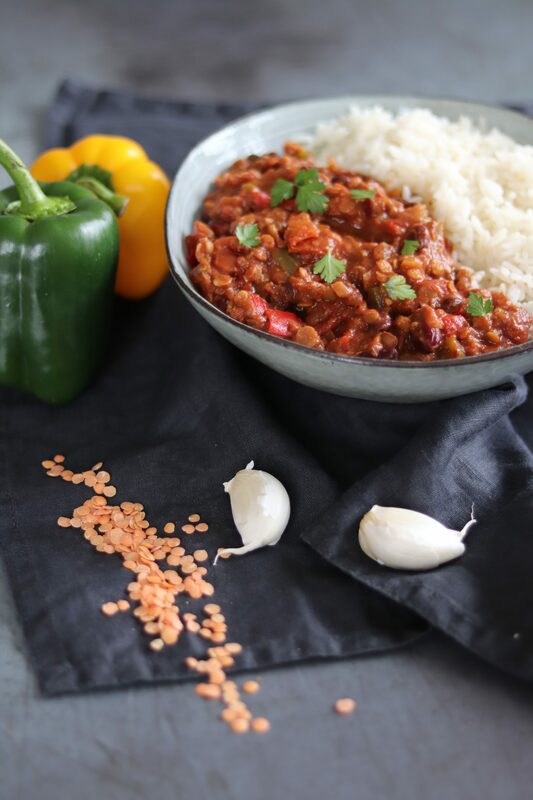 Lentils are so versatile that one can create a dish with flavors from any part of the world. 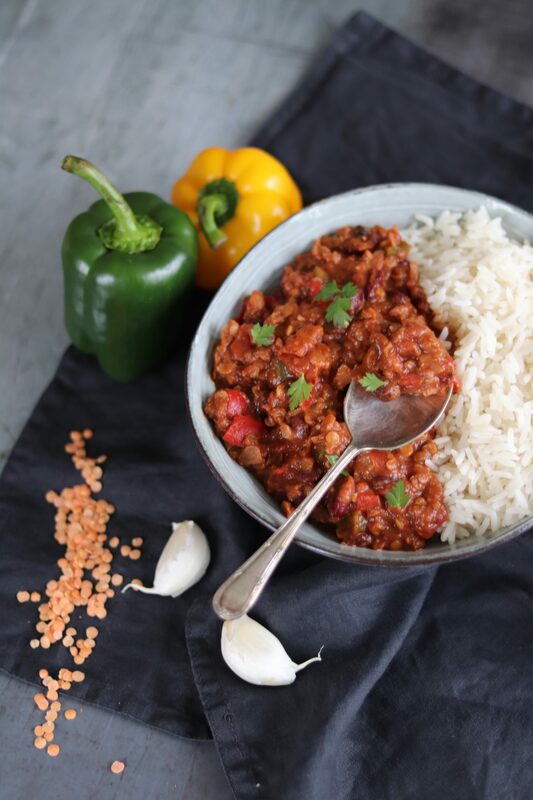 The lentil chili is a good recipe, filling and healthy too. Chocolate definitely caught my attention. I’m so glad I’m not the only one! I’m loving lentils at the moment and can’t wait to use them more. Ooh I’ve got to put chocolate in a chilli! This looks so good and sounds like it passed the taste test with flying colours! Always a good sign! I shall give this a try as an alternative to my normal meat chilli. It sounds really tasty and a healthy option.